package › Buy Poster of 3d white realistic cosmetic package icon set empty tubes on white background vector illustration. Realistic cosmetic bottle mock up set isolated pack on white background. Cosmetic brand template. Poster of 3d white realistic cosmetic package icon set empty tubes on white background vector illustration. 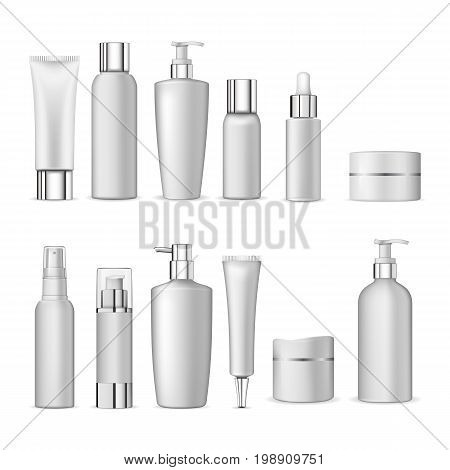 Realistic cosmetic bottle mock up set isolated pack on white background. Cosmetic brand template.